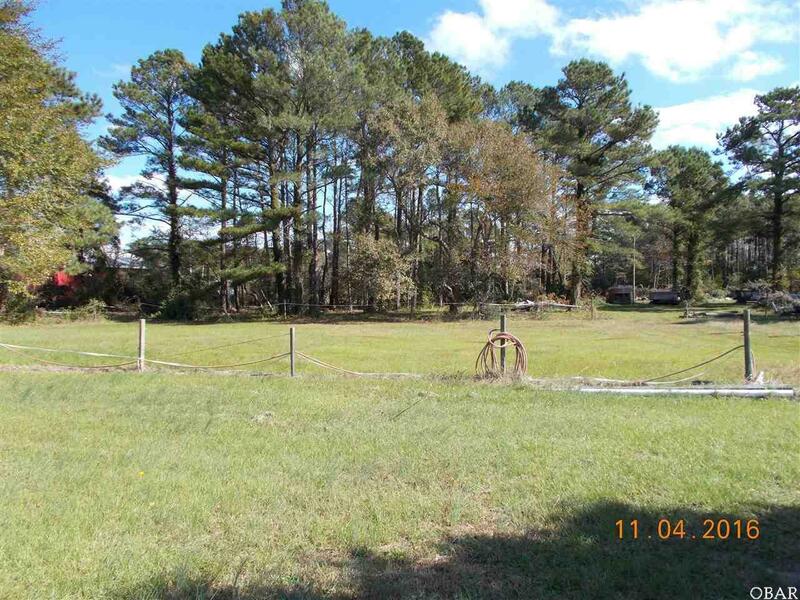 1.42 Acre parcel Zoned GB MAY ALSO BE USED AS RESIDENTIAL! 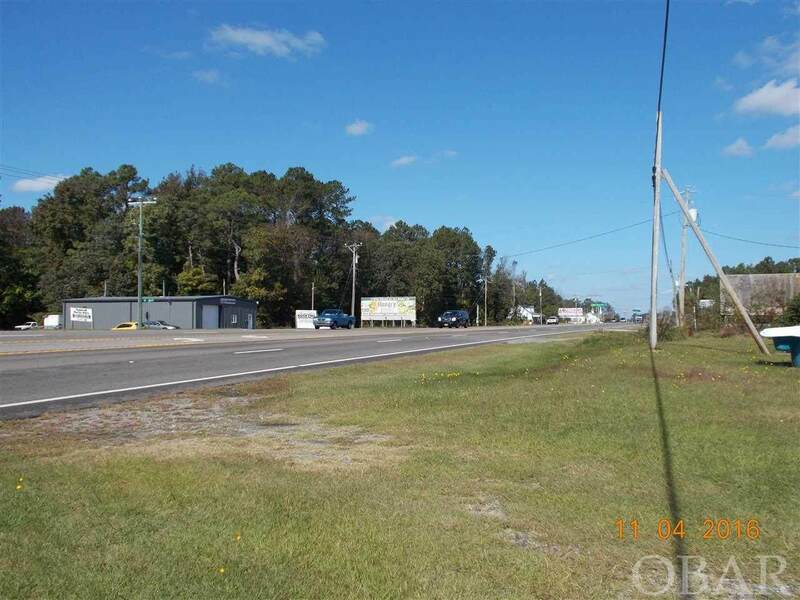 Current use is "Auto Car Sales & Service" property may be rezoned for many other Commercial uses. Building on site has Septic, Well AND County Water Tap paid! 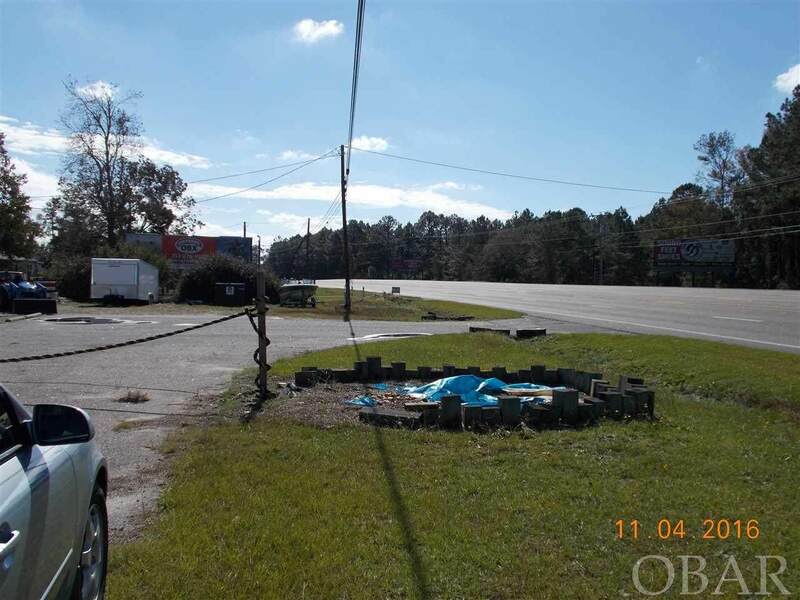 1.38 Acre Front Parcel may be purchased together (or separate) giving you a total of 2.77 Acres of General Business Zoned property with 350'+ Hwy ftg. in clear view of North & South bound traffic to and from the OBX!! WOW! Fantastic Access Easement on both sides! 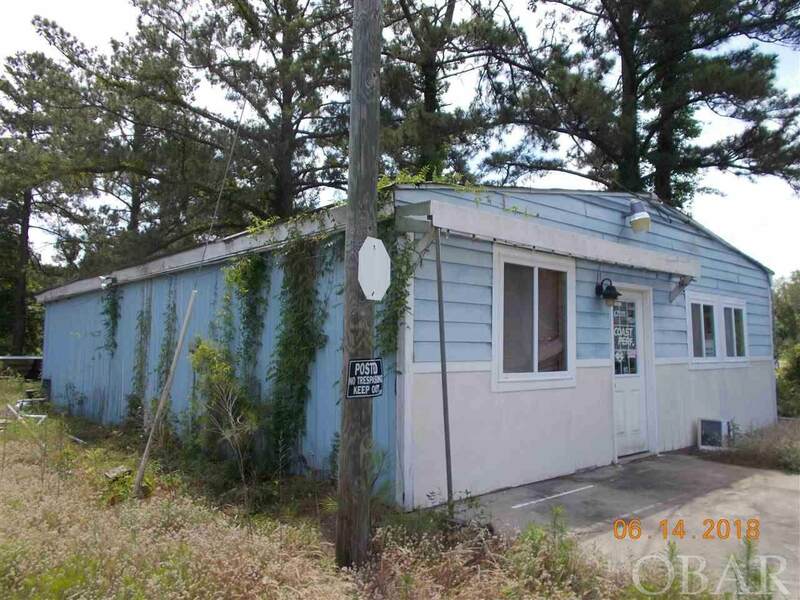 If your looking for a "chunk" of Highway to the OBX for your business, here's your spot! Perfect fit to put your business up front and your house out back! MAKE OFFER! Call today for appointment to take a closer look! FRONT PARCEL MAY BE PURCHASED TOGETHER SEE MLS#102209. Aerial Map on file. Listing courtesy of Susie Sullivan of Sun Realty - Currituck.